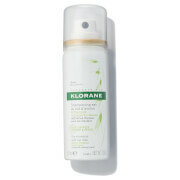 Protect hair against colour washout with the Color-Intense Ritual from Klorane. The Ritual boats a trio of products designed to prevent colour fade and repair the fiber, leaving coloured hair intense and luscious wash after wash. The set contains a shampoo, conditioner and dry shampoo, each enriched with the fruity scent of Pomegranate, leaving hair not only clean and super soft, but smelling delicious. Protect coloured hair whilst you wash, with the Anti-Fade Shampoo. Boasting an exclusive colour-enhancing complex, the ultra-gentle formula holds and binds hair colour. Coloured hair is left protected, revived and radiant, whilst the cleansing base delivers softness and intense shine to the fiber. 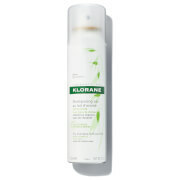 Intensify colour whilst you nourish your hair with Klorane’s Conditioner. Enriched with an exclusive colour-enhancing complex and Pomegranate extract, the conditioner works to to hold and bind colour, making it extra long-lasting. Boasting a high concentration of conditioning agents, the creamy conditioner leaves hair super soft, with an enviable bounce. Refresh hair between washes with the Gentle Dry Shampoo. Easy and quick to use, the shampoo boasts highly absorbent agents that work to soak up dirt and sebum on the scalp, delivering the appearance of clean and fresh hair without leaving behind unwanted white residue. Enriched with Oat Milk, the formula is ultra-softening, leaving locks soft and silky, with volume and bounce restored instantly. Shampoo: Rinse. In case of contact with eyes, rinse thoroughly. Conditioner: After using shampoo apply conditioner to hair lengths and ends. Leave on for 2 to 3 minutes. Rinse. In case of contact with eyes, rinse thoroughly. 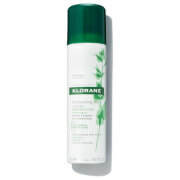 Dry Shampoo: Shake well before use then uniformly spray a small amount over the hair at a distance of 12 inches. Leave for 2 minutes then brush thoroughly to remove all traces of powder residue. Avoid inhalation and contact with the eyes. This dry shampoo can be used as frequently as necessary. Shampoo: 200ml / Conditioner: 50ml / Dry Shampoo: 30ml.